Try doing a Google Image search for Aéropostale. If you're like me, you'll receive a page full of company logos and store photos. Now hold that thought. I'm making my way through Wind, Sand and Stars, Antoine de Saint-Exupery's book which includes lyrical descriptions of him and his fellow Aéropostale pilots. And let me tell you, these guys were incredible. Think Pony Express, but in the air, with unreliable aircraft, extremely limited instruments, and the slimmest margin for error. Just about every flight involved risking your life. Now consider those Google search results. To have the term Aéropostale usurped by a trendy clothing company is just pathetic. This particular flight took place in June 1930. The Buenos Aires-Santiago route, which had opened several months before, was the most difficult of all, and the famous pilot Mermoz had chosen Guillaumet to fly it. The Andes' peaks rose to an altitude of 7,000 metres; planes at this time could not reach such heights and so had to weave their way through the mountains. When he left Santiago in his Potez 25, Guillaumet had made this flight a hundred times before. At an altitude of 6,500 metres, he ran into a huge storm. He set down near Laguna Diamente, a lake that he knew. When he tried to take off again, a layer of snow, 80 centimetres deep, overturned his machine. Hidden under his plane, he could hear other Aeropostale planes that had been sent to rescue him, but he wasn't able to see them. He decided to walk, dressed in his leather pilot suit and an overcoat. Spoiler alert: depending on the account you read he either walked for 3 days and 3 nights or 5 days and 4 nights before he was finally rescued. Within 3 weeks he was flying again. And most importantly, after the snow melted the plane was recovered and the mail was finally forwarded on to its final destination. The letters were marked in a classically bureaucratic manner with the phrase "Service Delay." Delay indeed. On that fog shrouded mid-May morning in 1918, President Woodrow Wilson handed his personal letter of greetings to a very young and relatively inexperienced Army Air Service pilot at Potomac Park polo grounds in Washington, DC, to be flown to the Mayor of New York City, via a relay stopover at Philadelphia, PA. Simultaneously, another Army pilot was departing from Hazelhurst Field on Long Island, NY, for the same relay handover point in Philly. 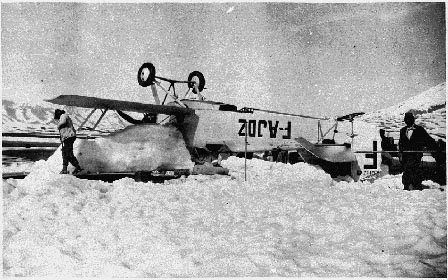 This may sound simple to modern readers, but in wartime 1918, with springtime dense morning fog over the entire northeast coast, and no available pilots trained in ANY cross country navigation, let alone instrument flying, this was taking extremely high risk. A short time [after takeoff], a phone call was received at the polo field communications tent. It was Lt. Boyle. He had gotten lost and made an emergency landing in a farmer’s field. The stub crops caught the landing gear spreader bar and the prop dug in and flipped the JN onto its back. He was unhurt. The mail was not damaged or lost. His location was a farm in Waldorf, MD, southeast of Washington, not northeast. He had followed the railroad tracks, but the wrong tracks. 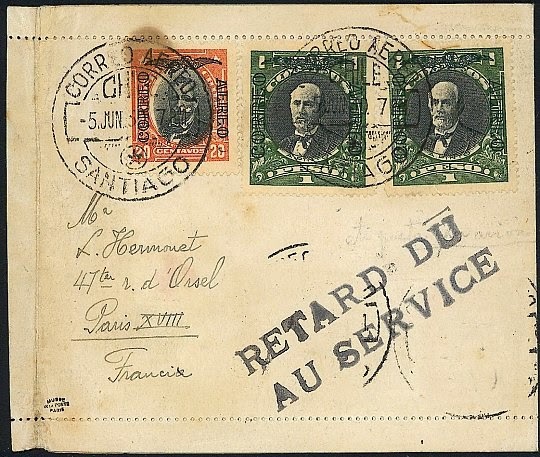 I'm telling you, I'll never look at a letter stamped "Air Mail" quite the same way again. These guys are my new heroes.